Nike unveiled the all new Mercurial Superfly 2016 natural diamonds CR7 edition football boots. 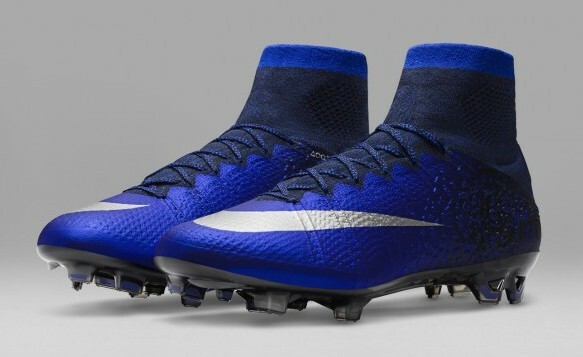 New Nike soccer cleats are the second chapter of Nike Mercurial Superfly diamond boots. These new boots focuses on the journey of Cristiano Ronaldo from a kid to becoming one of the best footballers of the world. 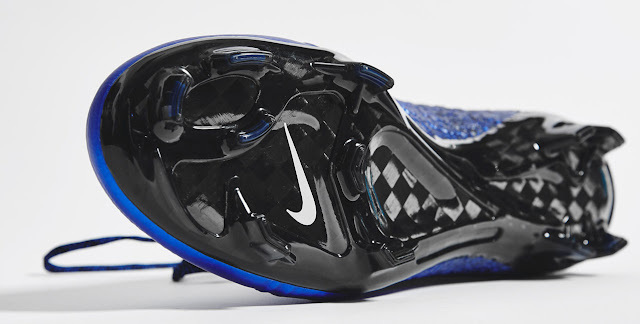 Deep royal blue is beautifully embraced on the new diamond boots of Cristiano Ronaldo. Have a look on these new soccer cleats of CR7 released by Nike. Few months ago, Nike unveiled the Mercurial Superfly for Ronaldo. 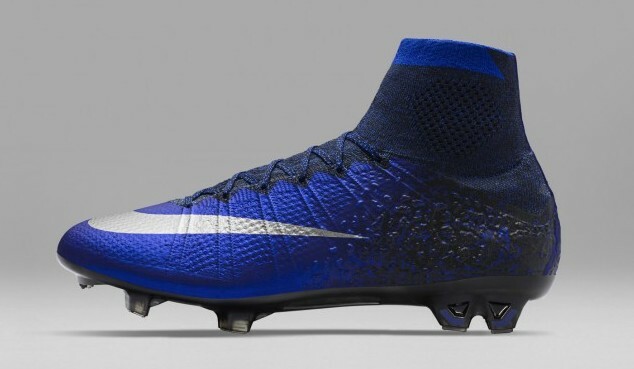 These blue Mercurial Superfly 2016 diamonds boots are the second edition of seven Mercurial CR7 boots. “I’m always working hard in training and in the games. It’s work to achieve the success,” says Cristiano Ronaldo. 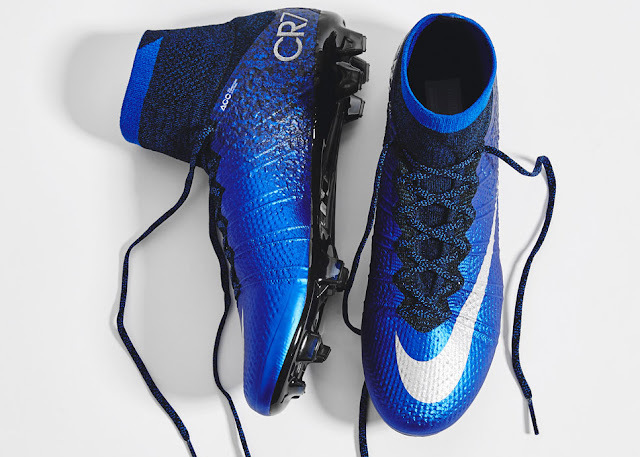 New Mercurial Superfly natural diamond boots of Ronaldo are made with royal blue as main appearance in addition with white and black. On the front of shoe, you can see silver Nike swoosh on both shoes. Back heel area is featured with CR7 logo. As the boot transitions to the forefoot, it smoothens out. Solid foundations to form inspiration for the design of this boot, the ‘Natural Diamond’ shines through, depicting how Cristiano Ronaldo has forged with game through sheer hard work over the years. Boots are featured with a navy blue dynamic fit collar with a blue stripe on the top. These are the last Nike Mercurial CR7 boots which are based on the current generation of Superfly family. Sole plate of Mercurial Superfly 2016 diamond boots is in black with amazing design. Also, white colored Nike swoosh is also there. 11 studs are provided for control. These soccer cleats will be available for boy from 20 March via Nike football application. From 22nd March 2016, these will be available at almost all retailers which includes Nike.com also. You can purchase these new soccer cleats at a retail price of €285. I’m lucky that I discovered this web site, simply the right info that I was searching for!